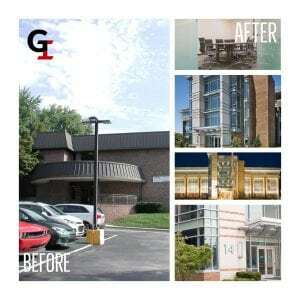 For the last 15 years, Germer International’s headquarters have been housed on Swede Road, in Blue Bell, PA. As the company has grown, so has the office; from knocking down walls, to putting in a brand-new kitchen, to hiring more and more recruiters and bringing in more and more furniture. To make this process a smooth one, GI created a committee that was responsible for selecting the space, choosing the new furniture, and deciding on the colors of the walls/carpets. This all sounds easy, but every single decision – from the blue prints to the paint color – was made very deliberately, in an effort to encourage creativity, productivity and focus in our open office. To say that Germer International is going through an exciting time is quite the understatement. Our current office is not just a place of business – it’s a place where we learn and grow, make a difference, and offer support for our colleagues, candidates and clients. Although our office will be missed, we are looking forward to changing more lives, helping more companies grow, and making an even bigger difference in our new building. Check out some of our before & after pictures!